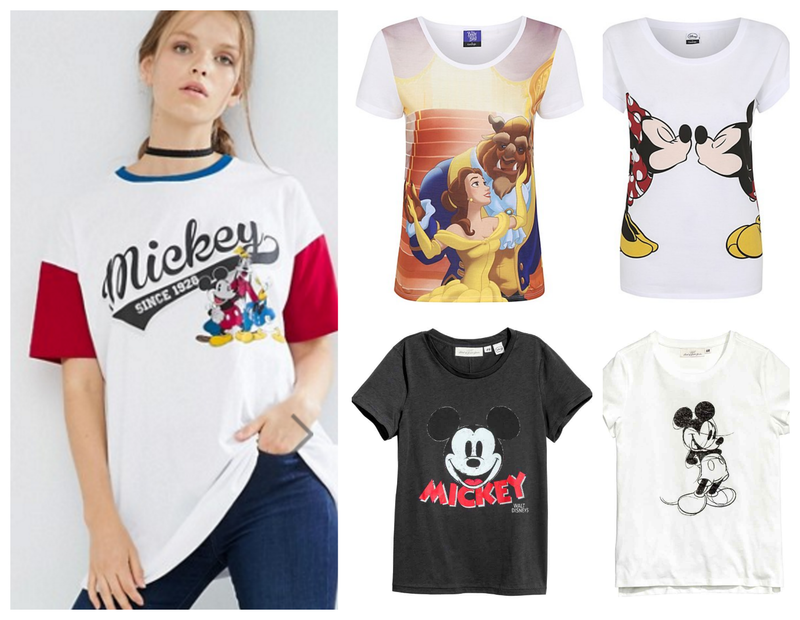 I'm a sucker for a bit of Disney merchandise so when I see that there are t-shirts available online I get a little bit too excited for my own good so I thought I'd share my findings with you in the hope that some of you might buy them out of stock so I can't spend any more of my money on more Disney tees that I clearly can't fit into my wardrobe or drawers! I've started with the most expensive of them all but I couldn't not include it because I absolutely love it. It does look very oversized so I'd definitely size down if you wanted a more normal fitting t-shirt but this looks quite a lot like the vintage Disney stuff which I'm a massive fan of. I knew I'd find something Beauty & the Beast given the imminent release of the new film. Can't wait for that by the way, I've just booked my tickets tonight! The iconic kissing picture of Mickey and Minnie, what's not to love. Another older, vintage style print of Mickey and in black/dark grey which isn't a colour you often find associated with Disney clothing so if you're like me and you're a fan of dark clothes, this is one for you. A sketchy motif of Mickey which looks like the beginnings of an animation. I do like this but the fact that it's pretty much all white puts me off because, well, I seem to have trouble keeping white things white. Have you seen any Disney bits online lately?